“Hope is an optimistic state of mind that is based on an expectation of positive outcomes with respect to events and circumstances in one’s life or the world at large. As a verb, its definitions include: “expect with confidence” and “to cherish a desire with anticipation.” – Wikipedia. Today I received enough encouragement, and positive reinforcement from a completely unlikely source to feel like I actually can keep going. A stark difference from yesterday, when I was in tears, overwhelmed, and feeling completely alone – and damn it, no one even cared to ask me how I was doing! Some days are like that. Some days, I have no clue what keeps me together. I am just running around trying to remember everything that needs to be done. Those days, I am just seriously wingin’ it… the kids, the laundry, the work, and yeah even the eyeliner! Nevertheless, most days, I just am reminded that for me (and you!!! Yes YOU!! ), GIVING UP is not an option. Those day especially, just a small encouragement, a smile, or a hug can make a whole lot of difference. Those days, even with the slightest moments, and the tiniest lapses of time, I feel Hope! My life has not been easy but really, who’s life has been. Going through depression and relapse has been quite a journey. But, hope is the one glue that keeps me together. Because no matter how hard things get there is always hope that things will get better. So I keep the hope that I will get through the tough times and I look back on where I was and how I have overcome a whole lot of things. 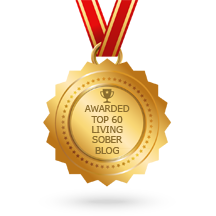 Alcohol Use Disorder is a dreadful disease that makes us believe that we are doomed forever and our lives are worthless, but the truth is that we are not. I know first hand that when I am sober, I am a pretty awesome human-being who can get through a whole lot of pain by relying on hope to conquer the difficulties. Hope itself is a spiritual condition where we don’t know what the outcome may be, but we believe and trust that the outcome will be favorable just like Martin Luther King Jr. said: Take the first step in faith. You don‘t have to see the whole staircase, just take the first step. Hope does not have to be religious or judgmental or prejudice. Hope can just be a state of mind, a belief and an understanding. Hope keeps us going and striving for bigger, better tomorrow. Hope is that thing that we cannot see, touch or smell but we can wholeheartedly feel. Hope is always alive, even when we think there is none. The only time that it is dead is when we are 6 feet under. At times when I feel hopeless I like to read some quotes about hope and some those quotes become my mantras for that difficult day or sometimes for that difficult hour. Hope keeps me sober when I desperately want to drink to kill the pain and get lost into the oblivion. Hope tells me that if I wait just a little bit, through the moment as it is, that pain will turn into strength which will ultimately propel me forward! This is a 4 part personal story. Hope is part 4. 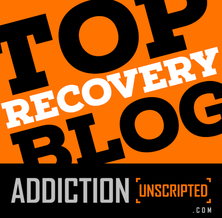 To read part 3 – Relapse click HERE. Hope is one of the most essential parts to dealing with life, in my opinion. Hi Magz, I was sorry to hear about your relapse but admire your honesty, insight and willingness to share that experience with us. I hope you are doing better and getting your strength and courage back. Sending you a big hug and a wealth of positivity.